Unfortunately, for every person who is obsessed with even the tiniest details of typography, a dozen or so people seem to be indifferent. It’s a shame; if you’re going to spend time writing something, don’t you want it to look great and be easy to read? Editor’s Note: This article is a bit out of date — please proceed reading with caution. The Web is 95% typography, or so they say. I think this is a pretty accurate statement: we visit websites largely with the intention of reading. That’s what you’re doing now — reading. With this in mind, does it not stand to reason that your typography should be one of the most considered aspects of your designs? How To Choose A Typeface — A Step-By-Step Guide! I’m not sure these two categories are recognized in the industry but, in my mind, the two main types of typography are creative and technical. Creative typography involves making design decisions such as which face to use, what mood the type should create, how it should be set, what tone it should have — for example, should it be airy, spacious and open (light) or condensed, bold and tight, with less white space (dark)? These decisions must be made on a per-project basis. You probably wouldn’t use the same font on a girl’s party invitation and an obituary. For me, this is creative typography: it is design-related and changes according to its application. Technical typography is like type theory; certain rules and practices apply to party invitations just as well as they do to obituaries. These are little rules that always hold, are proven to work and are independent of design. The good news is that, because they are rules, even the most design-challenged people can make use of them and instantly raise the quality of their text from bog-standard to bang-tidy. We’ll focus on technical type in this article. We’ll discuss the intricacies and nuances of a small set of rules while learning the code to create them. Fair warning: this is an in-depth article. It requires some basic CSS knowledge. If you’d rather learn a little at a time, use the links above to jump from section to section. If any of the code examples seem out of context or confusing, then here is the final piece that we’re going to create (merely for your reference). First, let’s choose a face in which to set our project. There is, as you know, a solid base of Web-safe fonts to choose from. There are also amazing services like Fontdeck and Typekit that leverage @font-face to add non-standard fonts in a fairly robust way. We’re not going to use any of those, though. To prove that technical type can make anything look better, let’s restrict ourselves to a typical font stack. Cambria is a beautiful font, specifically designed for on-screen reading and to be aesthetically pleasing when printed at small sizes. If you want to alter this or use a sans-serif stack, be my guest. Beware! This is a hack. 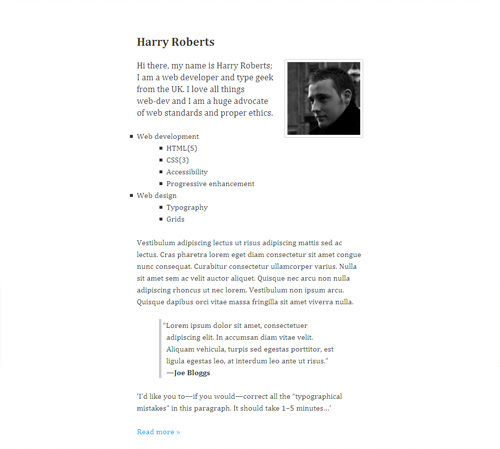 It works by using a system’s default sans font as the font for the page. By default, a Mac will use Helvetica and a PC will use Arial. However, if a user has changed their system preferences, this will not be the case, so use with caution. You’ll be left with a basic layout (demo). The grid is an amazing tool, and it’s not just for typographical ventures. It ensures order and harmony in your designs. Some grid systems out there, in my opinion, go a little overboard and offer 30 or more columns, all awkwardly sized. For this tutorial, we’ll use Nathan Smith’s 16-column 960 Grid System (demo). 960.gs is amazing; its beauty lies in its simplicity. 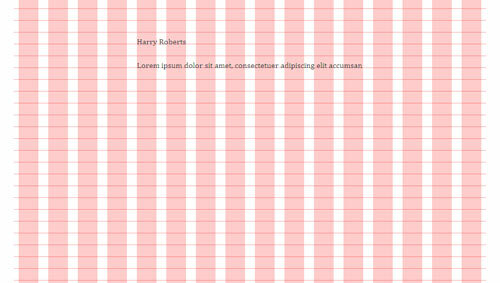 It is an ideal size for designs narrower than 1020 pixels, it has a good number of columns, and the numbers are easy to work with. You might also notice that the 960 Grid System only has 940 pixels of usable space.  “960” comes from the 10 pixels of gutter space on either side. for a shorter measure, use slightly smaller leading. So, a measure of 45 to 75 characters is the optimum for readability in columns of text. I can pretty much guarantee that after you learn this, every massively, overly long measure you see on the Web will annoy you spectacularly. If you picked a font size other than 16 pixels, make sure your measurements reflect this! Leading (which rhymes with “wedding”) is a typographical term from way back when typographers manually set type in letterpress machines and the like. The term refers to the act of placing lead between lines of type in order to add vertical space. In CSS, we call this line-height. Line height should be around 140%. This isn’t a great number to work with, and it’s only a general rule, so we’ll use 150% (or 1.5 em). This way, we simply need to multiply the font size by one and a half to determine our leading. with short burst of information, use small leading. If you used a 16-pixel font size, then your line height will be 24 pixels (16 pixels × 1.5 em = 24 pixels). If you used a 12-pixel font size, then your line height will be 18 pixels (12 pixels × 1.5 em = 18 pixels). For math-based tips on typography, check out this video on Web type by Tim Brown. The fun starts at 13:35. The pixel value for your line height (24 pixels) will now be your magic number. This number means everything to your design. All line heights and margins will be this number or multiples thereof. I find it useful to always keep it in mind and stick to it. Now that we know our general line height, we can define a baseline grid. The grid we currently have aligns only the elements in the y axis (up and down). A baseline grid aligns in the x axis, too. We need to update our background image now to be 24 pixels high and have a solid 1-pixel line at the bottom, like this. 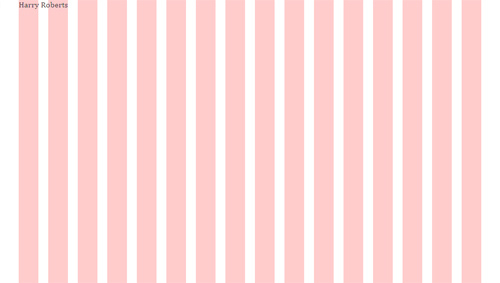 Again, if you chose a font size of 12 pixels and your line height became 18 pixels, then your background image needs to be 18 pixels high with a solid horizontal line on the 18th row of pixels. Substitute your own magic number if you used a different font size. It took some doing, but our canvas is ready at last! Your magic number will now be the default margin-bottom value for all of your elements. 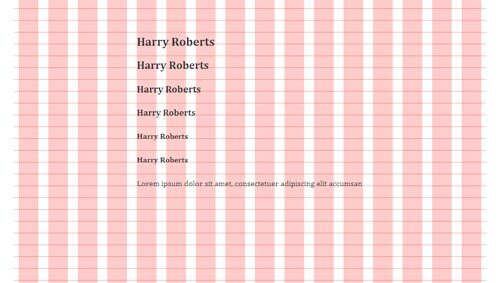 This, combined with the line height, will keep everything on the baseline grid. Many people work in pixels, but I much prefer working in ems. An em is proportional to the current size of the font: 1 em in 72-point Georgia is 72 points, and 1 em in 8-point Garamond is 8 points. You might think that something has gone wrong. But if you look, the paragraph lies just fine once you get back to the normal font size. To be honest, I’m not entirely sure about what causes this effect; the numbers we used are all correct, and the vertical rhythm as a whole remains intact, but individual lines of larger text appear to be offset from the baseline. I think this could be due, in part, to the glyphs’ setting in their em box. Head back into your markup and remove everything except the h1. Now we’re ready to do something useful. Let’s make a little “About you”-page. <p>Hi there. 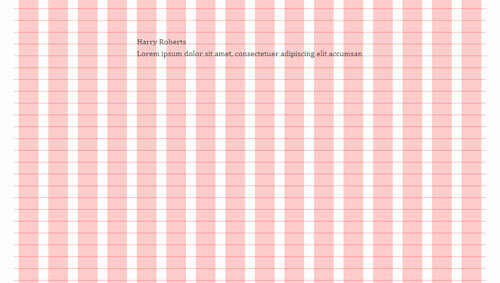 My name is Harry Roberts. 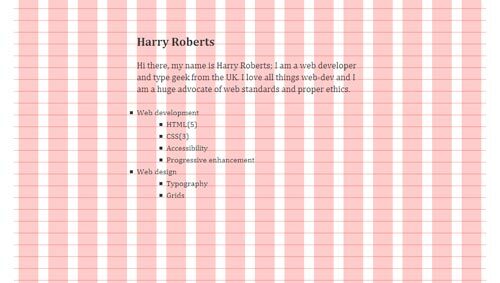 I am a Web developer and type geek from the UK. Here we’re giving the first paragraph — a direct descendant of the body element — a font size of 18 pixels and a line height of 24 pixels. See, there’s your magic number again! Here you can see that the vertical rhythm is still intact and working correctly. Now for the best bits. This will show the grid when you hover over the body, and hide it when you don’t. We’ve sorted out the magic number, and we know we should use it to space the elements, but there’s more than one way to denote the beginning of a new paragraph. One is the method we’re already using: inserting a blank space (one magic number) between the paragraphs. The second is indentation. Typically, you would indent every paragraph except the first in a body of text; the first paragraph has no indent and the second, third, fourth and so on do have an indent (typically with a width of 1 em). For an explanation of how and why this works, refer to my other article, “Mo’ Robust Paragraph Indenting.” You might also want to look at Jon Tan’s silo. 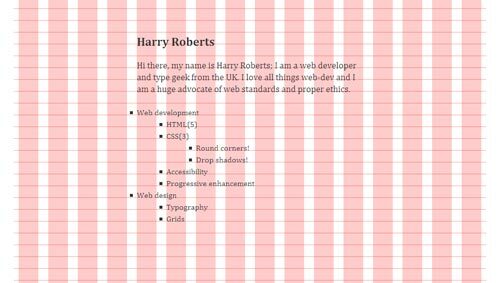 When setting type on the Web, use a range-left, ragged-right style. This basically means left-justifying the type. 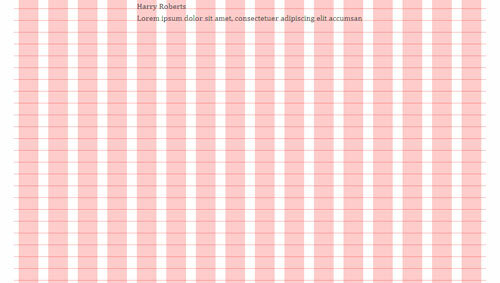 If you use a sufficiently long measure, then your rags (the uneven edges on the right side of a left-aligned paragraph) will generally be clean; the raggedness of their appearance can, however, be exacerbated at short measures, where a large percentage of each line could end up as white space. Justified typesetting can look great but lead to unsightly “rivers” in the text. To avoid this, rewrite the copy to remove them, or use something like Hyphenator.js, which is remarkably effective. Many people are unaware that there are proper quotation marks and “ambidextrous” quotation marks. The single- and double-quotation keys on your keyboard are not, in fact, true quotation marks. They are catch-alls that can function as both left and right single and double quotation marks; they are, essentially, four glyphs in one key. The reason behind this is simply space. A keyboard cannot feasibly fit proper left and right single and double quotation marks. So, what is a proper quotation mark? A curly (or “book”) quotation mark is rounded and more angular than an ambidextrous (keyboard-style) quotation mark. Left single and left double quotation marks look like this: ‘ and “ (&lsquo; and &ldquo;, respectively). Right single and right double quotation marks look like this: ’ and ” (&rsquo; and &rdquo;, respectively). Many people incorrectly refer to ambidextrous quotation marks as “primes,” but a prime is a different glyph. Single and double primes look like this: ′ and ″ (&prime; and &Prime;, respectively). They are used to denote feet and inches (e.g. 5′10″). I said that one key incorporates four glyphs. In fact, two keys incorporate six glyphs. Which Quotation Marks Should You Use? The type of quotation marks to use (double or single) varies from country to country and style guide to style guide. Double quotation marks are typically used to quote a written or spoken source, and single quotation marks are used for quotes within quotes. In short, stop using those horrible keyboard quotation marks, and start using lovely curly marks in your work. The quotation marks we’ve covered are used in English, but quotes look different in other languages. French and Spanish use guillemets, «like this» (&laquo;like this&raquo;). In Danish, they are used »like this« (&raquo;like this&laquo;). In German, using a combination of bottom and regular double quotation marks is common, „like this“ (&bdquo;like this&ldquo;). We know that keyboards can’t accommodate all quotation marks; and they can’t accommodate all types of dashes either. The hyphen key (-) is another catch-all. There are three main types of dash: the em dash, en dash and hyphen. The em dash (&mdash;) denotes a break in thought—like this. It’s called the “em” dash because, traditionally, it is one em wide. Em dashes are usually set without spaces on either side (as above). The em dash, en dash and hyphen are different, and each has unique uses. An ellipsis is used to denote a thought trailing off. It is also used as a placeholder for omitted text in lengthy quotations. An ellipsis is not three dots. It is one glyph that looks like three dots. Its HTML entity is &hellip; (as in horizontal ellipsis). Single prime ′ and double prime ″ &prime; and &Prime; The girl is 7′10″! In addition to these common glyphs, there are numerous others: from the division symbol (÷ or &divide;) to the section symbol (§ or &sect;). If you’re interested in special characters and glyphs, then Wikipedia’s article on “Punctuation” is a good place to start (just keep clicking from there). 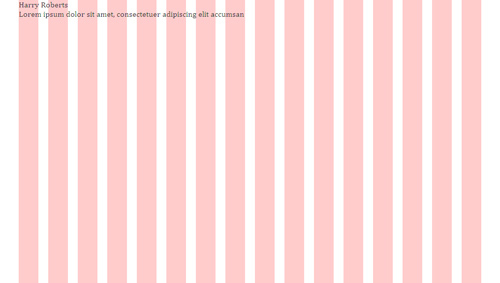 Here we indent the quote by 60 pixels from the left and right (i.e. 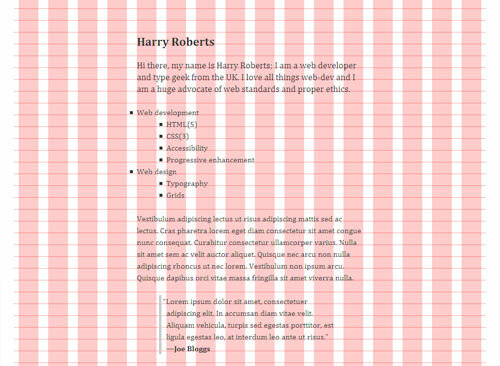 45-pixel margin + 5-pixel border + 10-pixel padding = 60 pixels), taking it in by one column of the grid. We then use a negative text-indent to make the opening quote hang outside of the body of text. The number I used works perfectly for Cambria, but you can experiment with the font of your choice. (Don’t forget to remove the text-indent on the b.) Now we know how to hang bullets and quotation marks. Maybe you’re wondering why I’m using double quotation marks here after recommending single quotation marks. The reason is purely aesthetic. Hanging double quotation marks in blockquote tags simply looks nicer. This simply places an encoded space and right-angled quotation mark after the “Read more” link by using CSS, which means you don’t have to add that quotation mark to your markup. Notice how the image doesn’t appear to sit on the baseline, but the rest of the text does? Beautiful, isn't it? So, there you have it. Using nothing more than plain ol’ browser text, one image, a lot of typography knowledge and some careful, caring attention, you’ve made a full page of typographic splendor — a page that uses a grid, a baseline, proper punctuation and glyphs, an ideal measure and leading and a typographic scale. Now get in there! Add elements, subtract them, add colors, add your own creative type. Just remember the few simple rules and your magic number, and you’re away! The final piece, with the grid. The final piece, without the grid. In this admittedly long piece, we have discussed only technical typography. Everything in this article can be applied to almost any project. 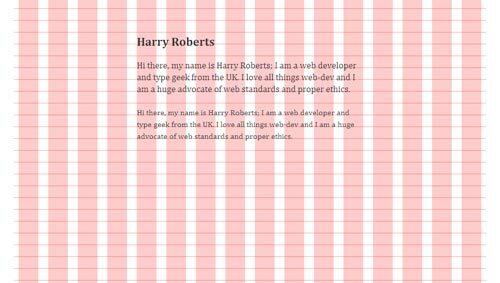 None of it was speculation; these are tried and tested methods and proven tips for beautiful Web type. Oliver Reichenstein of Information Architects A huge inspiration to me and a very knowledgeable guy who has a passion and talent for readable, sensible and beautiful type on the Web. Jon Tan Jon’s website is gorgeous. He is a member of the International Society of Typographic Designers (ISTD), and his writings and “silo” (on his personal website) are a hive of typographical information. Jos Buivenga Not strictly a Web-type guy, but Jos is the creator of some of the most beautiful (and free!) fonts in existence. His work got me hooked on typography. 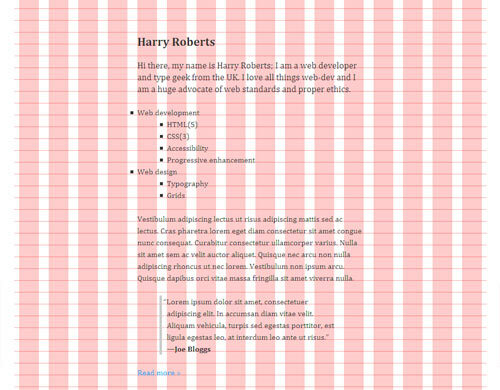 Khoi Vinh His timelessly beautiful website spurred my love for grids. He also recently wrote a book on that very subject. Keep in mind that you don’t have to be the world’s best designer to create beautiful type. You just have to care.